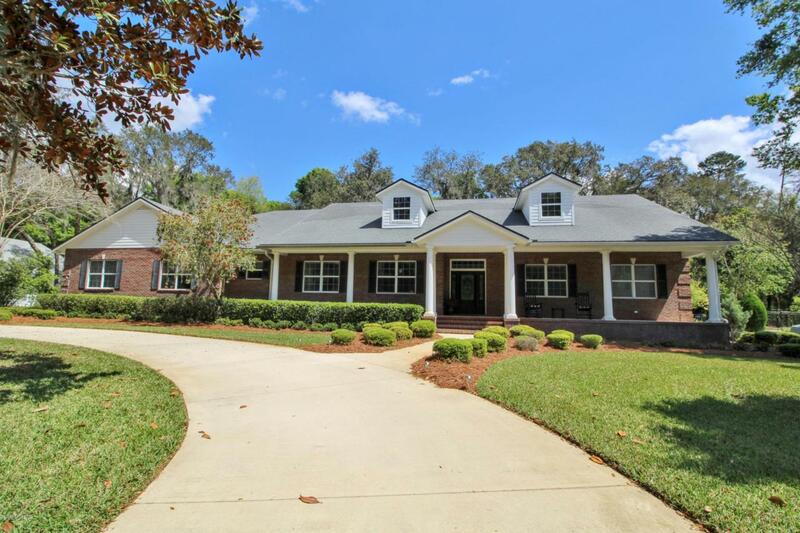 Classic style and superior build quality best describe this custom home in the gated community of Governor's Plantation. Solidly constructed of block & brick for strength and ease of maintenance, it is situated on a large, tree lined lot with a lushly landscaped garden and pavered terrace. 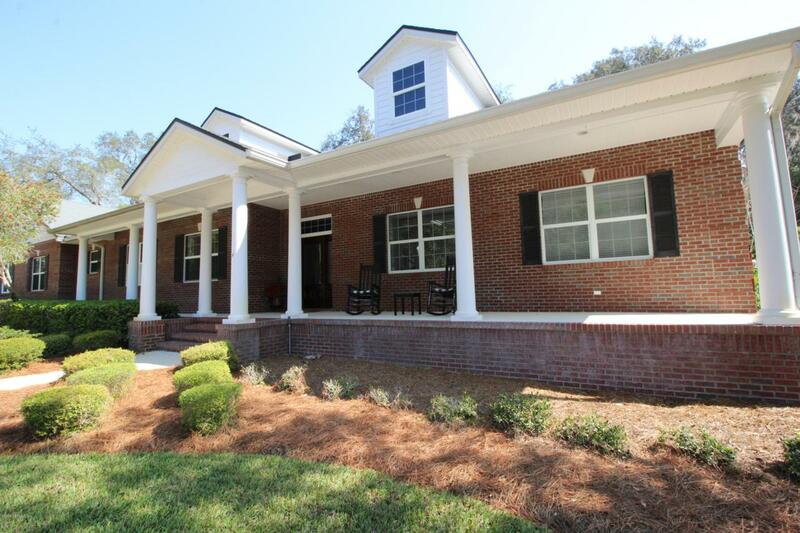 The stunning curb appeal with circular drive and welcoming front porch entices you inside. 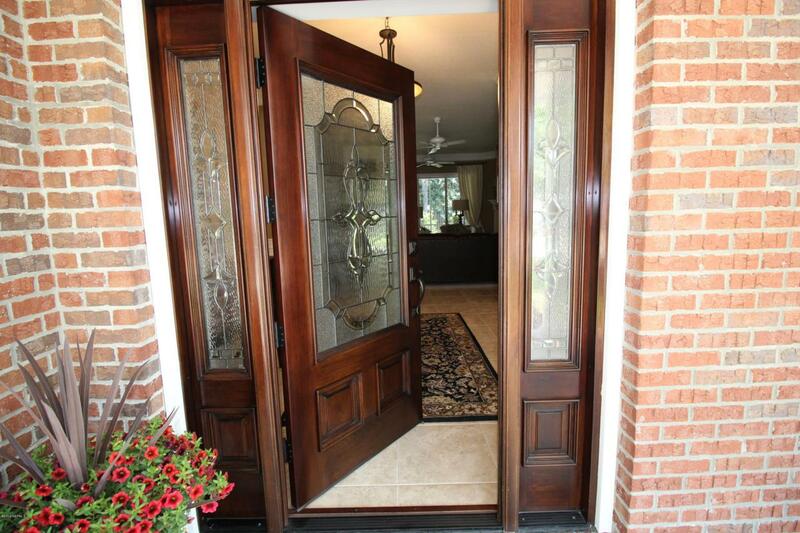 Upon entering the foyer you will notice the executive style office and formal dining room on either side. The home offers a functional and flowing floor plan with handsome large format tile throughout. There is just the right amount of separation and plenty of natural light from the many windows and massive rear glass panel doors. .Other striking details include crown molding, wainscoting, chair rail, ceiling detail and more architectural details. The main living area is spacious and features a wood burning fireplace with detailed mantle and crown molding everywhere. The kitchen is fabulous and has had a complete makeover including gorgeous cabinetry with pullouts, quartz counters, marble back splash, custom lighting, induction cook top, custom range hood and Bosch appliances. Adjacent to the kitchen is a large casual dining area and breakfast bar that overlooks the screened lanai and terrace. The master suite is truly a retreat with plenty of natural light, a huge walk in closet, en-suite bath with large walk- in shower, huge vanity with dressing table and twin sinks. The remaining bedrooms are well sized with one almost as large as the master. If you enjoy outdoor living this is your dream home. The full length screened lanai leads to the outdoor area that is completely fenced and features paver walkways, stone accent walls, sitting areas, spa/hot tub, and fire pit all surrounded by a myriad of beautiful trees and flowers. The last major highlight is the massive 3 car garage with tons of storage and a dedicated workshop, this is a hobbyists dream! 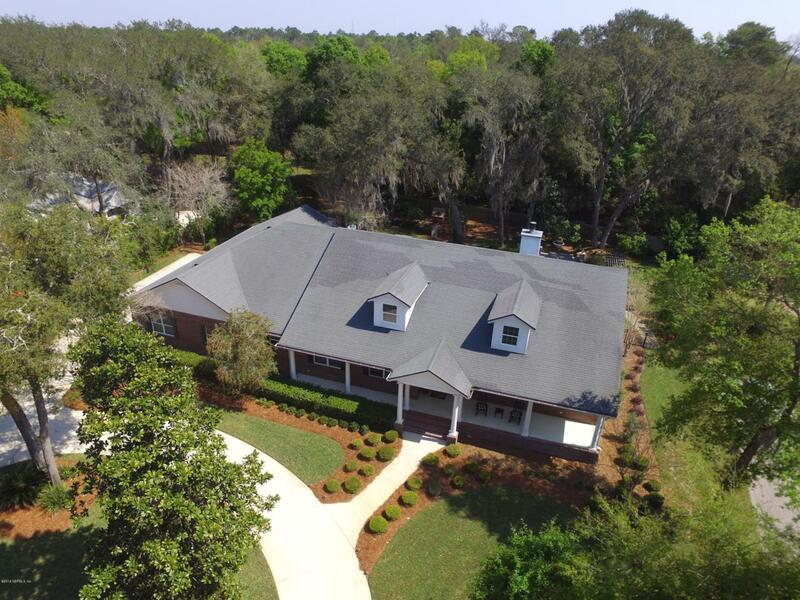 This is truly a rare opportunity to live in one of St Augustine's most prestigious neighborhoods. Constructed by one of the area's most respected builders and impeccably maintained by the original owners this extraordinary residence is a must see!